The best hypoallergenic diet includes proteins and carbohydrates that your cat has never had before, since most food allergies develop from exposure to certain ingredients. Hypoallergenic cat foods make use of uncommon sources of protein that are not usually incorporated into cat food. Many hypoallergenic cat foods contain rabbit, duck, lamb or venison, as a source of protein, since most cat food formulas contain chicken, beef, eggs or fish. In many cases, it's very difficult to figure out the specific cause of your cat's food allergy. You may have to try several different formulas until you find one that works for your cat. In addition to this, many food allergies manifest as skin problems in your cat, not necessarily including gastrointestinal symptoms (such as diarrhea). This causes the mis-treatment of the condition, as this is also a symptom of sarcoptic mange, seasonal skin irritation, and other skin-related conditions. Many people will not immediately suspect food allergies to be the cause of their cat's skin problem. When switching to a hypoallergenic cat food, it's important to choose carefully in the best type of food to incorporate into your cat's diet. A drastic change in food (especially if the new food has a higher carbohydrate content) may further upset your cat's digestive system. The best way to test your cat's tolerance for a hypoallergenic cat food is to feed your cat the hypoallergenic food for approximately two weeks. After this two week period, switch back to your cat's original cat food. Be sure to keep an eye on your cat's condition! If they symptoms lessen with the hypoallergenic food, switch back to that type of food permanently. If not, try a different hypoallergenic cat food formula. You can also try testing to see if your cat is allergic to products such as dairy, soybeans, and certain food additives. This is a very involved process, and requires keeping constant surveillance over how your cat adapts to each new diet. Be sure to stick to the chosen diet (dairy-free, fish-free, egg-free, etc.) for the full two-week period, without any supplemental treats or additional food items. 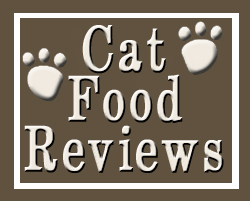 This is very important, since it will greatly help you in finding the right type of hypoallergenic cat food that is best for your cat. In addition to a specific protein intolerance (chicken, beef, fish, etc) it's also possible for your cat to become allergic to certain types of carbohydrates. Remember, your cat is classified as an obligate carnivore, and requires a highly meat-based diet in order to be in optimal health. Try switching to a food that has between a 5-10% carbohydrate content, and see if your cat responds to this type of diet. If this doesn't work, you can also try eliminating specific carbohydrates, instead opting for uncommon carbohydrates such as potatoes, peas, and sweet potatoes. When choosing a hypoallergenic cat food, reading the ingredients of the cat food formula becomes all the more important! Some possible allergens can have many different forms, so it's best to thoroughly research the type of hypoallergenic food to feed your cat. Instead of all this lengthly testing with I assume is store brand cat foods, further extending the suffering of the cat, please consider getting an allergy test done on the cat at the vet. While fairly expensive (I think ours cost $200) this will result in an itemized and detailed listing of all things your cat is allergic to, by category (food, external environmental susbstances like weeds, etc..) and the severity of reaxtion to each item. Then you can simply find food that is low on your cat’s reactive list. Green pea and rabbit formula from IVD is what we use, also Duck formula from Royal Canin. Dianne- From a veterinarian: the kind of allergy testing that I think you refer to is inaccurate when it comes to food. The best way is a food trial as guided by your own vet. Good to hear you found one that works. I took in a stray cat (approximately 9 months to a year when I found him) who showed up at the back door of my restaurant. It was love at first sight and he eventually fit in great with his two brothers at home. Within a few weeks he was vomiting after every meal and had diarrhea. He was eating Royal Canin Indoor like my other two. I made the switch to Royal Canin Special. That seemed to do the trick for a while. A few months later the vomiting began again. After a few calls to the vet she suggested a switch to a different protein source. Royal Canin makes several different prescription foods with rabbit, duck, etc. Instead of trying each one and waiting to see if it worked we went straight for the Royal Canin Hypoallergenic food Hp 23. Since the switch, no problems at all! It was a miracle worker. Now all three of my boys are eating it and they love it. It’s a bit pricey ($37.00 for 7lbs), but I can’t put a price on my pets’ health. It’s worth every penny and I’m a devoted Royal Canin client and would highly recommend it to those who can afford it. My cat of 6.5 years suddenly started vomiting and acting weird. A trip to the vet produced a rule out Inflammatory Bowel Disease and he was immediately put on Royal Canin Hypoallergenic food. Trying to keep the cats out of eachs others food was impossible though and now everyone gets the same food. Yes, it’s expensive but I love my cats and want everyone to be healthy and feel good so who cares? Our cat has had IBD for about four years. He can’t use medicine because he has herpes and steroids had affected this as well as almost causing him to lose an eye. Royal Canin Hypoallergenic food is the closest to work for him out of the cat foods we’ve tried, but still it doesn’t quite do it completely. When the package is bright new it seems to work out, and the older it gets the pain begins to go back again. Around the middle of the package he has lose stools again and lot of pain. Does anyone have the same trouble? How do you keep the food fresh for a long period of time? We just have one cat, and I guess with several eating there wouldn’t be a problem. We try to open the package with the narrowest hole and seal it as quick as possible, as well as keep it in a fresh place with no day light hitting it, but we don’t know what else to do, or if this isn’t the best food for him in the first place. I can’t leave my cat on any of my experimental foods for any time frame because the diarrhea would be dangerous. He loves any kind of food, and especially home made, but no matter what I do, the diarrhea starts in a few days. I use Forti Flora with my Inflam. Bowel cat with success, and with this kitty, but I can’t measure the success of the FF as easily with him, because I cannot always identify what starts the diarrhea. He eats baby food chicken and broth every time the diarrhea starts, so when I make his food, I used chicken. I only use the barest of ingredients, bone meal and tourin, to start, and in a few days he was sick with that, He eats baby food chicken with no reaction. Same kind of meat. Makes no sense to me. I used Beech-nut since it is only chicken and broth. He is clearly not allergic to chicken. I do not use eggs, or liver (reacts), my experiments are endless. He is also allergic to all antibiotics we have tried, in case of bacteria. He has had cancer, and reacts to antibiotics after surgery. I do this over and over. I have ten cats, and cannot afford the three cats I have (doing well) on Hills DD, but it works, so I have to stay with it. Some days I would like to cry. I am diligent and have been at this for a couple of months, but I am afraid to let the diarrhea go on long enough for him to “adjust, if possible”, because he will become dehydrated, and then I have to put him back onto the chicken broth and broth.